Simmering away under the radar for the past couple of years with members involved in projects such as Brisbane’s own ‘Red Aster’, Kaloptic is ready to hit the scene with a bang, describing their sound as “Hard rock with a dark, grungy edge”. The four piece, comprising of Mark Egginton (guitar/vocals), David Blythe (guitar/backing vocals), Tina Furlanetto (bass) and Ben Blythe (drums), draw heavy influence from Queens of the Stone Age, Tool and Black Sabbath which has fueled their sound and given birth to a catalogue of songs with unique structure and intensities. Kaloptic’s sound is very much based on a big rhythm section with drums, bass and rhythm guitar working together towards a massive dirty sound. This leaves the songs open for Mark’s melodic vocal and guitar to cut through and complete each song. 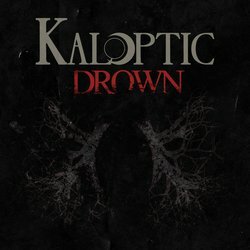 There is a clear 90’s grunge influence to the tone and unique use of the loud/soft ethos is clear in each song, however, it’s progressive song structures and darker tones which completely set Kaloptic apart from the rest.